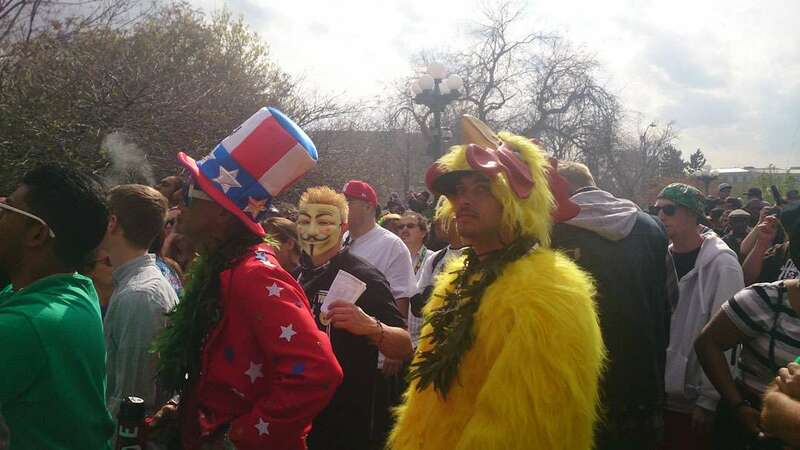 The crowd in front of the capital in Denver on 420, 2015. DENVER, COLORADO, USA — Since Colorado was the first state in the nation to fully legalize recreational cannabis, it only makes sense that Denver would become the Mecca for all things marijuana, especially on the stoner’s “High Holiday” of 4-20. Last year in Denver, Senior Stoner staff met people who had made the 4-20 pilgrimage to the Mile High City from all over the world. What was especially refreshing is the number of multi-generational families we met who had made the trip together – adult children with parents, and in some cases grandparents. Revelers in Denver, CO on 420. 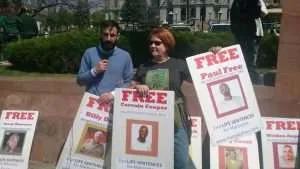 A party atmosphere permeated Denver at events scheduled on the big day and around it, although if you were not at such an event you might not suspect much partying was going on at all. Residents tell us that, ironically, legalization has brought an increased crackdown on public consumption, something that was more commonly seen before the historic legislation went into effect, even though the practice has always been illegal. No crackdown was in effect in front of the state Capital building on 4-20 however, as evidenced by the smoke cloud the size of a small island nation that hung over the crowd at the witching hour. Cannabis enthusiasts of all ages were on hand to listen to speakers, shop at vendors, and generally have a good time. The crowd is humongous but as large as it still is, it is not nearly as big as it was before legalization. Why? Because there’s another event that’s an even bigger draw. Senior Stoner editor Cheri Sicard being interviewed in Denver on 420 about prisoners serving Life Sentences for marijuana. High Times Magazine holds their annual Colorado Cannabis Cup in Denver over 4-20, so part of the downtown crowd has migrated here, plus a whole lot of other people who travel from near and far to attend the festivities that include educational speakers, on and offsite music events, and of course la competition to decide who has the best cannabis and cannabis products. Residents and visitors alike will also find lots of other smaller events and 4-20 themed amusements and activities including music, movies, parties, etc. The Cannabist, a marijuana centric publication of the Denver Post, always features a calendar of events so you can check out everything that’s going on around town. On the way to the Doubletree Hotel’s smoking tent in Denver over 420 weekend. Colorado’s ban on public consumption, coupled with most hotels’ no-smoking policies, made it difficult for out of town cannophiles to gather together and sesh. 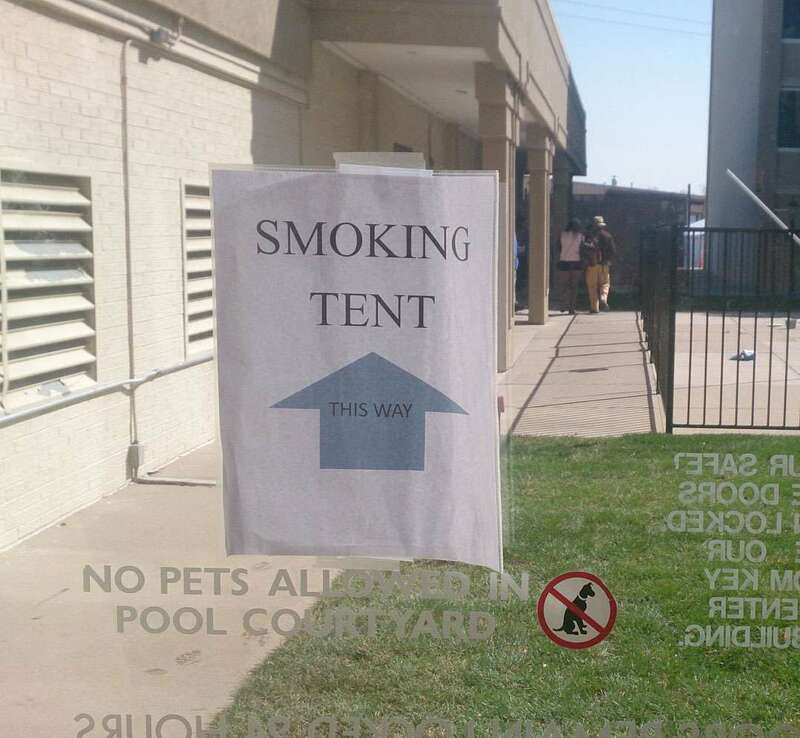 However, kudos go to the Doubletree Hotels, which were the only ones we heard about, that had the foresight to accommodate 4-20 visitors with an outdoor smoking tent. 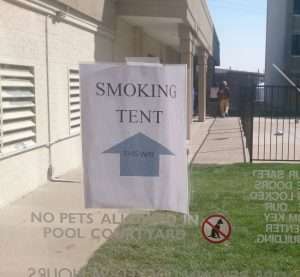 While folks in other hotels had to go outside with the cigarette smokers and sneak a toke (or risk a hefty fine for lighting up in the room), guests at the Doubletree could retire to the “smoking tent” where the party went on all night long in the hotel parking lot. If you’re thinking about a visit to Denver, there’s no better time for a Senior Stoner to visit than 4-20. You definitely will not be alone!